We have a great giveaway today for anyone who loves reading and finding out more about the world. And there are six prizes to be won so lots of chances to be lucky. And if you enter our giveaway, you could win one of these supercool new books! Find out where you can climb a giant tower of sticky buns, what a bokikokiko is and who once received a polar bear as a present. 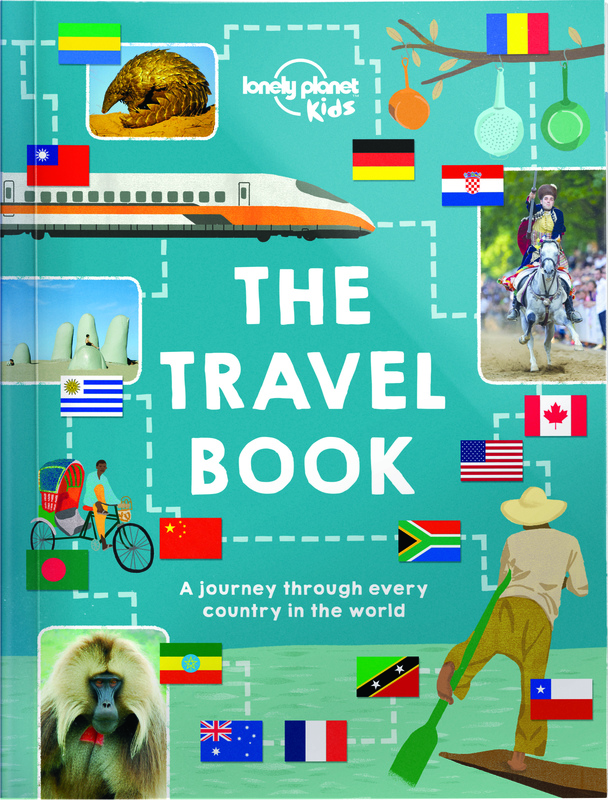 From amazing animals and super sights to fun festivals and fabulous food, The Travel Book is full of fantastic facts and incredible information about every single country in the world – from Afghanistan to Zimbabwe. From code breaking and covert operations to HQs and hacking, How to be an International Spy is full of up-to-the-minute information about life as an agent. Children will get the scoop on some of the biggest agencies in the world and discover the coolest gadgets out there. Think you’ve got what it takes to run a nation? Tired of following other people’s rules and think you can do better? Now’s your chance. You Rule! helps readers aged 8+ to design, create and govern a completely new nation from scratch. It’s full of fascinating facts about nations and micro-nations all over the world, from the big-league to the bizarre. It’s packed full with fun and vibrant illustrations, and includes quizzes to guide readers on their journey from rabble to ruler. Establish your borders, design your flag and take charge. Be king, queen, chief, emperor, president or dictator – you decide, because right here, right now, You Rule! Six winners will each receive a Lonely Planet Kids book. 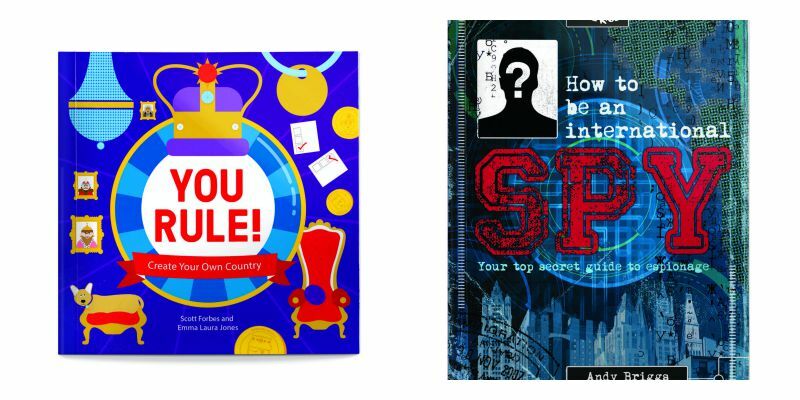 There will be two winners each of The Lonely Planet Kids Travel Book; How To Be An International Spy and You Rule! The prizes will be distributed at random so you won’t know what you’ve won until it arrives. All books are suitable for young readers aged 8 and over. These brand new books have just been published in September 2015. I would save this for my son I think he would love the book about becoming a spy! Great Educational, Inspiring, Practical book. I’d love to win the book for the kids. because my kids love books! these make great books for my boys – they’d love these topics and are always running out of reading material! I would love to win as my boys love to read and learn. The kids in my class would LOVE these books! My daughter loves reading both fiction and non-fiction and so this would be perfect for her. I would give it to my grandson to show him where his uncle is travelling to & working. I think my little boy would love reading these with me! My daughter would love this as she’s fascinated by countries/geography/travel. my children love reading, cant believe how quickly my 9 year old gets through books! I would like to win for my son, he loves reading about different places! I’d love to win as my little boy would love these books! I’d like to share the international spy book with my nephew. Look good fun for my sisters child. Because my kids love to read. I want to win this prize for my nephew. I want to win because my grandchildren would enjoy it. I’d love to win as I love travelling and it would be fab to get my kids involved in seeing all the cool places in the world there are to visit and to be explored! (That’s if I won the Travel Book anyway!)? I would love to win this for my godson who is an avid reader. My children would love these – we are starting to talk about other countries and travel so would be a great help! The books look great, something for my kids to really get into. This will be great for the kids – we always like new books! All of us love to travel together and love books too! I will love these books,it will be fun to read it! These books look great! We would love to read them!